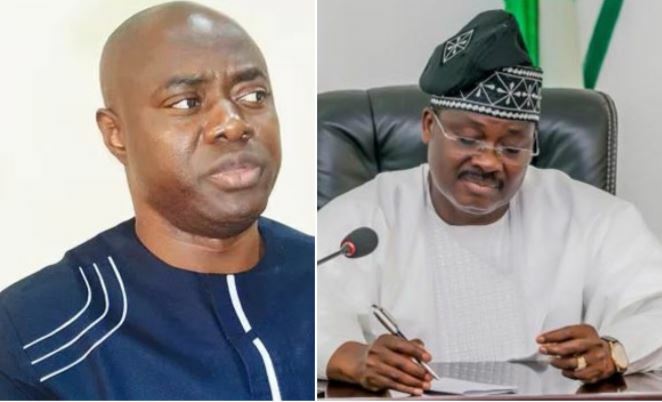 Mr. Seyi Makinde, the Oyo State Governor-elect has promised that once he is sworn in he will do a proper review of all the contracts awarded after the March 9 gubernatorial poll in the State. The Governor-elect disclosed this to journalist in a press release made available through its spokesperson, Mr Dotun Oyelade. He disclosed that “Events of the past two weeks have shown characteristics of targeted contract awards that were compiled in a haste and randomly awarded to empty government purse before the May 29 swearing-in date. Mr. Makinde disclosed that from information from hard working civil servants who want the progress aof the state suggested that it is a master plan to make sure the incoming administration takes off on a wrong note by milking all avaialble funds in the state treasury. It will be recalled that the governor after losing his senatorial bid in a speech. “We appreciate our people for coming out last Saturday, which led to APC winning two, out of the three senatorial and nine out of the 14 Federal Constituency, seats in the state. “The victory has shown the unassailable leadership of the APC in Oyo State. It has also shown that our people are appreciative of the developmental strides of the APC in the state and the country at large. Speaking on the loss of the chance to represent the APC in the Senate, he added: “The results of the Oyo South Senatorial District election have been released by INEC (Independent National Electoral Commission) indicating that I lost to the PDP (Peoples Democratic Party) candidate. “I hereby accept the result as announced. Although there were a number of grievous infractions and established electoral malpractices, I have decided to let go in the interest of peace. I, therefore, congratulate the declared winner, Hon Kola Balogun and our APC Senators-elect, Abdulfatai Buhari and Teslim Folarin. “If I lose the ticket and the party was able to gain, then it is nothing to feel sad about. APC has done well but we can always do better. If we won two out of the three Senatorial seats and we picked nine out of 14 federal constituency seats, then we should congratulate ourselves. “To the teeming members and supporters of our party who came out in their thousands to show their preference for the APC, I thank and urge you to keep the faith especially as we look forward to the governorship and the House of Assembly elections.